Hundreds of teenagers in Calderdale are likely to be missing out on education or training after leaving school, despite a government guarantee. Department for Education figures show that in 2018, Calderdale Council gave 95.5 per cent of its 4,870 school leavers suitable offers of education or training. That leaves 219 teenagers who could be missing out. Of those, for 97 the offer was not considered appropriate, usually due to personal circumstances, and 97 received no offer. A further 24 teenagers did not have their situation recorded, possibly because they were not contacted by the local authority, or they moved address. A lower proportion of 16 and 17-year-olds were made offers by Calderdale Borough Council last year than in 2017, when 97.3 per cent received a suitable training or education place. 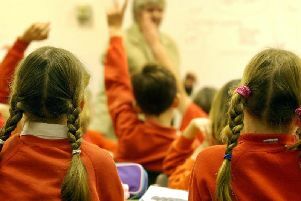 Calderdale handed out more places than councils across Yorkshire and the Humber on average, where 95 per cent of pupils received a suitable offer. Across the region, more than 5,000 teenagers could have missed out on education or training in 2018.